We’re in for a warm and sunny weekend, with temperatures expected to reach 29 degrees on Saturday and 31 on Sunday. Perfect weather for a swim down at Manuka pool, I reckon. 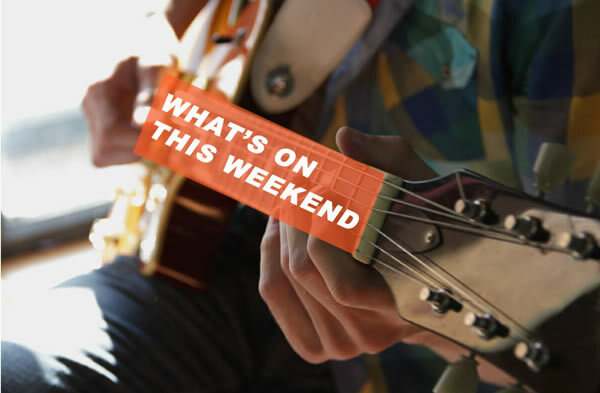 Don’t forget that you can also send us your suggestions for RiotACT’s weekend guide and calendar by creating an account and submitting a post. Groovin the ANU is on at ANU Bar tonight from 8pm (beers are cheap and entry is free). Australian jazz musician Andrea Keller performs in Postcards from Prague at the Street Theatre on Saturday. Opera by Candlelight is on at Albert Hall (the Saturday session is sold out but we hear tickets are still available for Friday and Sunday). Socially conscious Perth soul songstress Shameem performs at The Basement as part of her national tour on Friday night. The winners of Transit Bar’s Battle of the Bands 2014, The Gaps, return to Transit on Saturday night, supported by Midnight Cinderella and The Huskeys. Entry is free. Earthly Delights and the Jane Austen Festival Australia will host a Mystery Dance Night on Saturday from 7pm at the All Saints Church in Ainslie. Sydney’s Indian Dance Centre presents an evening of classical Indian dance at Belconnen Arts Centre Dance Studio on Saturday. The 2014 Canberra Area Theatre Awards will celebrate 20 years as part of the region’s performing arts scene with a gala evening at Llewellyn Hall, also on Saturday. Head to the Hellenic Club at Woden on Saturday night for the inaugural Compassion with Fashion fashion parade to support beyondblue. Action sports star Travis Pastrana brings his live action sports show, Nitro Circus Live, to GIO Stadium this Saturday. Joining him will be 40 of the world’s biggest starts in FMX, BMX, skate and more. Unbranded Sports Preparation and Esteem Fitness Studio will host their inaugural strongman competition, Of Stone and Steel, on Sunday. It features four classic strongman events and runs from 2pm at 23/151 Gladstone Street Fyshwick. Commemorate International Mother Language Day on Saturday by participating in a free 1.8km language walk and community celebrations, starting at the international flags display behind the Questacon car park and finishing near Regatta Point. It’s also not too late to register for Sunday’s Color Run and get covered from head to toe in coloured powder while running what is billed as “the happiest 5k on the planet”. Over the border, help to celebrate, remember and fight back against cancer in the Queanbeyan City community by donating or participating in Queanbeyan’s Relay for Life event. If you’re into food and wine, you’ll know that there are few food pairings more delicious than duck and pinot. With that in mind, head to Lerida Estate Winery at Lake George on Saturday for a duck and pinot master class. For those who prefer fish and riesling over duck and pinot, Pod Food is hosting a raw fish and riesling lunch on Saturday that looks rather delicious. Alternatively, check out the Canberra Food and Wine Expo at the National Convention Centre. The expo is an annual three-day event dedicated to celebrity chefs, food and wine, cheese, cocktails and everything gourmet. Murray’s has partnered with the Sydney International Art Series to offer a travel package to see the Pop to Popism and Chuck Close exhibitions. Includes return luxury coach travel from Canberra to Sydney and a Sydney International Art Pass. Packages start at $78. Brides-to-be should pencil the Canberra Wedding Fair at the AIS Arena in their diaries for Sunday. The fair is the largest gathering of bridal-related exhibitors in the ACT and offers inspiration for everything from cakes to honeymoon ideas. Share your weekend snaps with @the_riotact on Instagram using the hashtag #riotactcbr, and have a good weekend! Tags 21st and 22nd February What's on this weekend? Exhibition: “Forged Over Time” an exhibition celebrating the 30th Braidwood Iron Corroboree 21 February to 15 March.